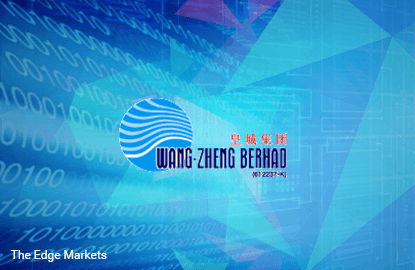 WANG-ZHENG (Fundamental: 2.1/3, Valuation: 2.6/3) triggered our momentum algorithm for the second time this month. The rarely traded stock has risen by 71.6% over the past three months, closing at a one-year high of 75.5 sen yesterday. The Selangor-based company manufactures and distributes processed paper and fibre-based hygienic products (such as diapers and sanitary protection) under its own brands as well as original equipment manufacturer (OEM) brands. In 2014, Wang-Zheng derived 83.7% of its sales from the domestic market with the balance from other Asian countries. For 1H2015, revenue increased 17.2% y-o-y to RM133.4 million while net profit surged 146.4% to RM9.2 million, mainly due to forex gains and higher sales of paper products. The company has a solid balance sheet with net cash of RM23.0 million. The stock currently trades at a trailing 12-month P/E of 9.5 times and 31% below book value. 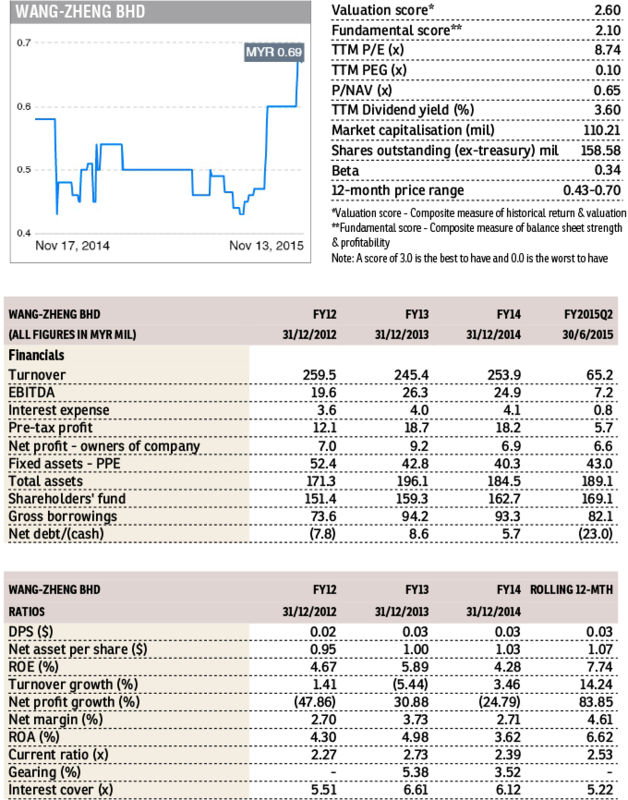 Dividends totalled 2.5 sen per share for 2014, giving a yield of 3.3%.